Sanctuary Supported Living supports people on their pathways to independence. 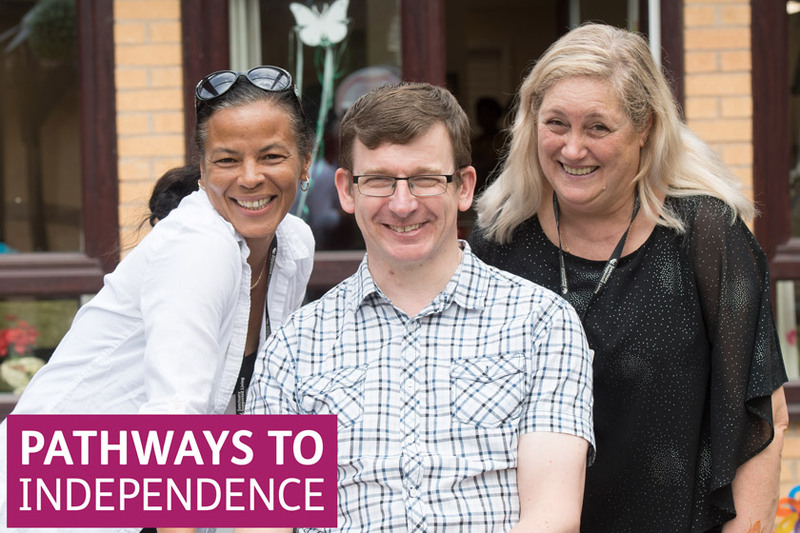 Through quality support and housing, we equip people with the confidence, self-esteem and life skills they need to live independently, whether that’s for the first time or following a significant change in circumstances. We have over 50 years of experience in supported housing and over 300 services across England. We are a national organisation, but we think locally. Our vision is to support you to achieve your aspirations on your pathways to independence. As a not-for-profit organisation, we reinvest any surplus we make back into our services, building communities and places that our residents are proud to call home. Last year we re-invested over £3million into improving our supported housing services. Find out how you can Get Involved, or read about residents’ Life Stories, where they share their first-hand experiences of living at our services and receiving our specialist care and support. We are driven by our values - ambition, diversity, integrity, quality and sustainability. Our values describe what we stand for and were developed by our staff and board members from across Sanctuary Group. We hold ourselves to our values and ask that our customers, clients and stakeholders challenge us to always act with these values in mind. We invest in and care for our people and communities by offering the best standard of support and training for our staff. We celebrate diversity and are committed to everyone having the same opportunity to access our services. We will act honestly and openly in everything we do. We have high standards for all of our services and we focus on supporting people to achieve their goals. As a support provider, we make sure that our services are run effectively and efficiently, meeting people’s individual needs. We have signed up to the Make a Stand campaign, which has been developed by the Chartered Institute of Housing to support those affected by violence in the home. We have been awarded White Ribbon Status by White Ribbon UK, a male-led campaign which aims to end violence by men against women. To show our support for breaking the silence that surrounds mental health in the workplace, we have signed the Time to Change Employer Pledge. We are committed to changing how people think and act about mental health in the workplace and making sure our employees who are facing these problems feel supported. Read more information about our commitments on the Sanctuary Group website. Through quality support and housing services, we help clients gain the life skills they need to build the foundations for independent living. Sanctuary Supported Living is a trading name used within Sanctuary Group. © 2019 Sanctuary Group. All Rights Reserved. Images used on our website and literature may be representative and are for illustration purposes only.